Andy Gibson is an entrepreneur and consultant specialising in the social applications of new technologies. 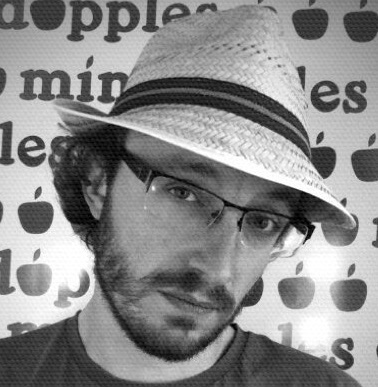 He helps businesses and the Government adapt to a more digitally connected age through his consultancy, Sociability, and also develops his own projects, most recently as Founder of the “5-a-day for your mind” campaign, Mindapples, and previously as Co-founder of the award-winning education start-up, School of Everything. He is also an experienced speaker, and his written works include Social by Social, a practical guide to social media for social good, and Local by Social, an influential guide to digital innovation in local authorities. Andy used to be a historian, but he drifted. After studying the Renaissance, Reformation and Enlightenment, he joined the digital revolution as a web producer, running the website for the national teacher recruitment campaign Those Who Can, Teach, and later winning a Web Marketing Association Award for his work at Skillset, including five acclaimed storyboard guides to the media industries. Alongside his current business interests, he is also an Associate at Futuregov, a fellow of the School for Social Entrepreneurs, an ambassador for the Courvoisier Future 500 and a Fellowship Councillor at the RSA, as well as being an early advisor to Social Innovation Camp. In 2010, Wired Magazine named him the 78th most influential person in UK technology, although they sensibly changed their minds again the following year. He’s gradually realising that studying the history of periods of rapid social and technological change has been the ideal preparation for navigating the swirling waters of the information age. AG: I believe that deep down we are each trying to get the tiny ugly-beautiful thing that is our true self out into the world in a way which doesn’t shame it or hurt it. We each want to be safe, and accepted. Some of us achieve this by trying to change ourselves, others by changing the world. But really, we need to build a world which accepts each of us as we are, appreciates our true nature and lets us be ourselves, without compromise or dilution. It’s easier said than done of course, but being accepted, and respected, can take many forms, we can accept others as we would wish to be accepted, and we can seek out little worlds in which to be ourselves and then try to nurture them and watch them grow. If every one of us feels happy to be ourselves and that we belong in this world, that will do me just fine thanks. AG: I can’t resist sharing this, which hangs on the wall of my living room and guides all my actions. AG: An old friend once said to me that these days the most radical thing we can do is make our own fun. If we can rely on ourselves and each other to make life joyful, everything else feels a little more manageable. AG: I’m going to give a plug to my own organisation, Mindapples. I’ve worked for years in mental health, education and democracy, because I believe if we are informed, in control of our faculties and have agency over our world, we will create the future we want. Mindapples promotes the simple things we need to be mentally well, and asks everyone what five things they do to look after their minds. We’ve collected over 50,000 suggestions of things people say are good for their minds, and when it comes to designing the world we want to live in, I think that’s a pretty good place to start. AG: Melt with you – Nouvelle Vague. If I ever get married, this will be the first dance. Sometimes, all it takes is one person to really understand us and the world makes sense again.